I don’t like wine because it goes straight to my legs making them feel light and like jello (anyone else know what I’m talking about?). I don’t like the taste of beer, and I would rather spend $8 on some good food than on a “girly” drink. Now don’t get me wrong, I will go out and have a drink every once in a while and my beverage of choice is hard cider. I will be the first to admit that I am a “lightweight” so my drink limit is one. As much as I do not enjoy alcohol, I know how popular it is among many people around the world. 1. Alcohol impairs protein synthesis making it much more difficult for the body to build and maintain muscle. When trying to get fit, the last thing you want is to impair your bodies ability to build lean muscle. 2. When you consume alcohol it inhibits your fat burning for hours after the alcohol enters your body. This means your fat burning will slow down a great deal. 3. Binge drinking can decrease the production of testosterone while increasing cortisol, which is a horrible combination. In the past we have called cortisol the “fat storing hormone” while testosterone is a hormone that keeps us lean, strong, and healthy. As you can see, drinking alcohol in excess has the reverse effect of what we are looking for when trying to get fit. 4. According to one study, alcohol can impair reaction time, balance, hand eye coordination, and over all performance in sports. As an athlete (or regular gym-goer), these are all things you want to avoid. 5. Alcohol is mostly stored as fat when consumed. 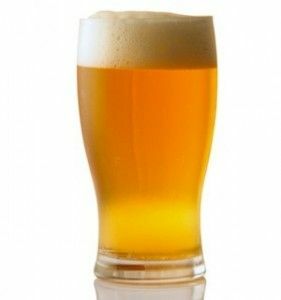 Just as protein will help you put on lean muscle, alcohol will help store unwanted fat. 6. Not only do alcoholic beverages tend to be high in calories, they may also lead to other poor choices in your diet. Most times alcohol is combined with greasy food and 2AM fast food runs, both adding more unwanted calories to your diet. 7. Alcohol is consumed in the evening or late night hours, which gives your body no time to burn off the calories. 8. Alcohol effects your sleep, which hurts recovery time. Your body works hard to recover from workouts but when sleep is interrupted, it makes it more difficult for your body to recover and be ready for the next workout. There is a time and place for alcoholic beverages. It is fine to indulge in one or two a few times a week, but if you a really looking to get results fast, it is best to cut it out all together. You want to create an environment that promotes fat burning and muscle gaining. Alcohol can create the opposite environment when we drink in excess. P.S. Want to hit that ‘Like’ button before you go? It would be greatly appreciated!